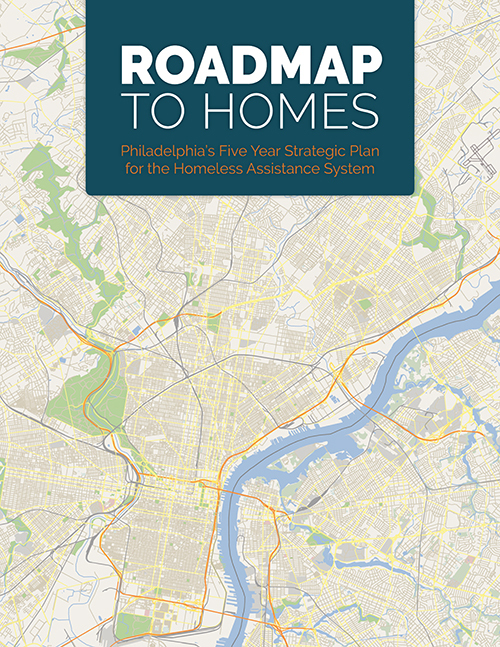 The new five-year plan for Philadelphia’s homeless assistance system demonstrates new resolve to tackle homelessness in all its complexity. The plan is pragmatic and actionable. It reflects a dramatic shift toward a strategic, system-wide approach that coordinates efforts, reduces duplication and increases efficiency, especially in the use of resources. 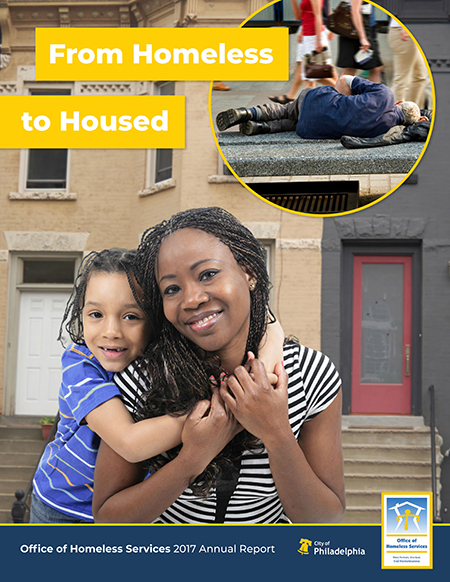 It boldly lays out our community’s commitment to maximize impact over the next five years based on a person-centered, data-driven approach to doing what works. To view as a PDF file, click here. You may download the 2017 Annual Report as an Acrobat PDF file or click on the heading above to view it as an e-book.